While all the technological advances of the 21st century have made our lives more convenient, they’ve also made our lives far more complex. We now know that the longer we spend on the Internet, the more likely we are to develop anxiety or depression. However, let’s face it, most of us aren’t just going to quit our cellphones cold turkey. In fact, about 44 percent of American cell phone users say they would experience crippling anxiety if they were to lose their cellphone. If you’re one of those people who has an “uncomfortable dependency” with your mobile device, then it’s time for you to download a mindfulness app. Yes, there are plenty of apps online designed to help you gently unplug…while you’re still technically plugged in! Below, we’ll go over 10 of the best mindfulness-based apps to ring in a stress-free 2018. As the work of Dr. James W. Pennebaker shows, daily journaling can dramatically help patients overcome physical and mental diseases. 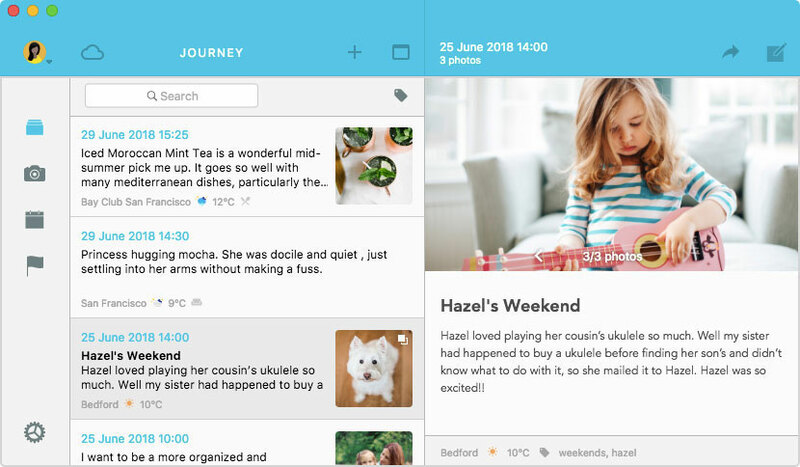 Luckily for us, we can get all the benefits of journaling digitally by using the Journey app. Take a few minutes to de-stress by opening this app and writing down whatever is on your mind. You can add pictures to your journal entries and even send a few posts to family and friends. Journey is available on Apple, Android, and Windows products. If you need meditation sessions in a New York minute, then Aura is the app for you. Developed by yoga experts, Aura uses the latest in AI technology to select the perfect personalized three-minute meditation for you every day. In addition to your daily three minutes of mindfulness, Aura also has a gratitude journal, 30-second micro-meditations, and nature soundscapes to help you relax. You can download Aura for free onto iOS or Android devices. Based on the work of the late Dr. John Sarno, Curable uses proven mind-body techniques to help people relieve their chronic pain symptoms. Everyone that downloads this app gets access to “Clara” (somewhat like Apple’s Siri) who analyzes your symptoms and develops a weekly mindfulness exercise regimen. People who’ve used this app have overcome debilitating conditions such as fibromyalgia, migraines, and back pain. Anyone can try this app for free or pay for monthly, annual, or lifetime access. The Anxiety Reliever app is a great tool for people who suffer from generalized anxiety disorder, panic attacks, or insomnia. This app’s soothing audio tracks help guide you into a state of deep relaxation and peace. The five main guided meditation techniques in Anxiety Reliever include ASMR, “Sleepy Time,” Anxiety, De-Stress, and Binaural Beats. There are also ways to use this app to keep track of your breath and mood. Whether you’re just starting to practice mindfulness or have been for some time, the Mindfulness App helps you on your journey no matter what level you’re on. Designed by two yoga and mindfulness enthusiasts, this app stays with you on your journey to a better life. With guided meditation exercises for each day, you will find yourself staying mindful as you continue to practice. It even tracks your progress to keep you motivated everyday. Numerous scientific studies now show that the Chinese healing art of acupuncture can be extremely beneficial for a wide array of physical and mental conditions. The Acupressure: Heal Yourself app can help you take advantage of this ancient science by showing you the ideal pressure points on your hands for instant tension relief. You could even use the Acupressure: Heal Yourself app to help you overcome insomnia. 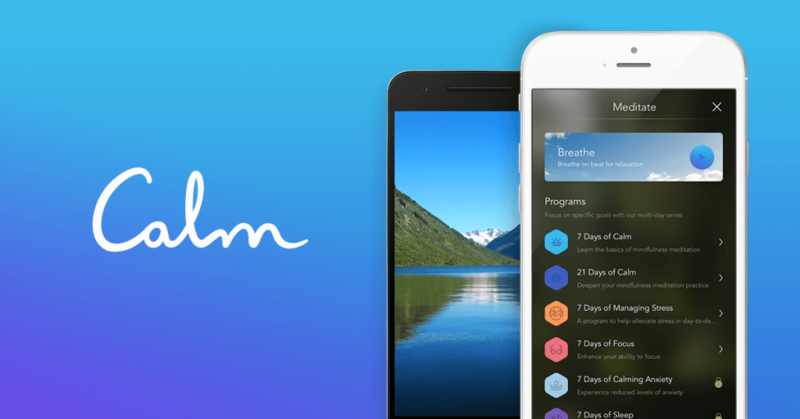 The interesting app called Calm works kind of like an advertisement company for mindfulness. Once you download this app, you’ll receive up to five messages per day with inspirational quotes, tranquil images, and mindfulness reminders. Be sure to “share the calm” on all your social media pages! Calm is available on iOS and Android devices for free. Anyone who wants quiet down their “monkey mind” should download the Chill Panda app. When you open this app, you’ll be asked about your current emotional state. This app uses your smartphone’s LED light and camera to get a good sense of your heart rate. After analyzing all this info, the Chill Panda app recommends either physical exercises or deep breathing depending on your current emotional state. Chill Panda is currently being tested by the UK’s National Health Service and is available on iOS and Android devices for free. Developed by a psychologist and one of his clients, the Stress & Anxiety Companion uses basic theories in cognitive behavioral therapy to reframe negative thought patterns and see past traumas in a new light. In addition to recording your thoughts and analyzing your mental habits, this app has helpful breathing exercises, muscle-relaxing music, and fun facts designed to disrupt negative thought patterns. As of today, the Stress & Anxiety Companion app is only available on Apple products. 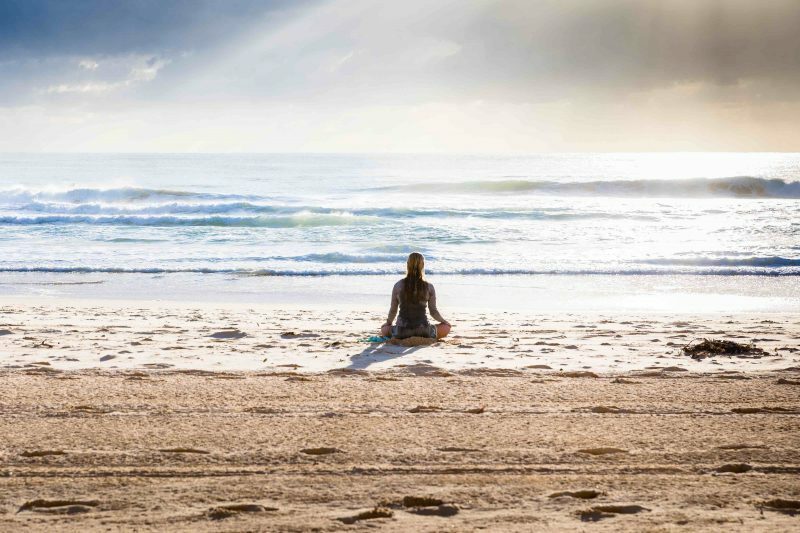 The non-profit Australian group Smiling Mind is on a mission to spread the benefits of mindfulness meditation around the world. 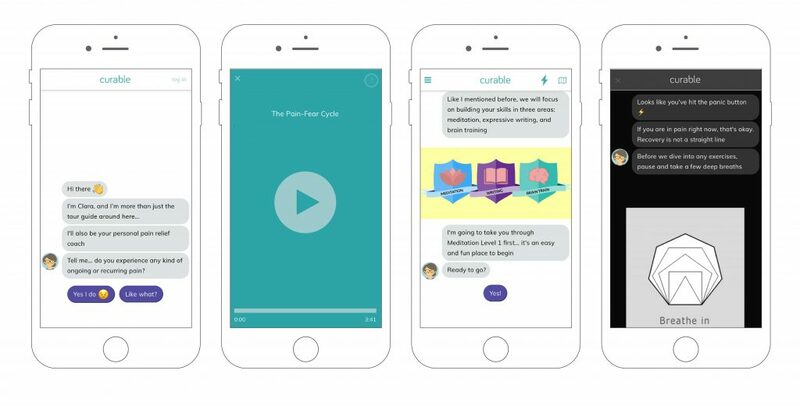 To achieve this lofty goal, Smiling Mind created this innovative app that leads users on 10-minute meditation sessions. The Smiling Mind app can be used by both children and adults and has already been incorporated into thousands of classrooms and workplaces around the world. So, if you’re struggling to be all “Eckhart Tolle” while you’re rushing through this crazy world, then it’s definitely time you gave one of these apps a try. All of the apps listed above have stellar reviews from millions of meditators and mindful humans of all skill levels. While these apps aren’t guaranteed to make you a Zen master, they can certainly help you find a few moments of serenity in this stressed out world.